The ecological fallout from bauxite mining in the Malaysian state of Pahang has affected the east coast town of Kuantan in myriad ways. Its water sources have become polluted and its tourism industry, a vital source of revenue for locals, has taken a hit. But the worst may be yet to come. Marine waters near the shores may turn into a “dead sea” with much of their indigenous ecosystem decimated by the lingering effects of toxic pollution. Sea creatures will especially be at risk of having their breathing systems impaired. 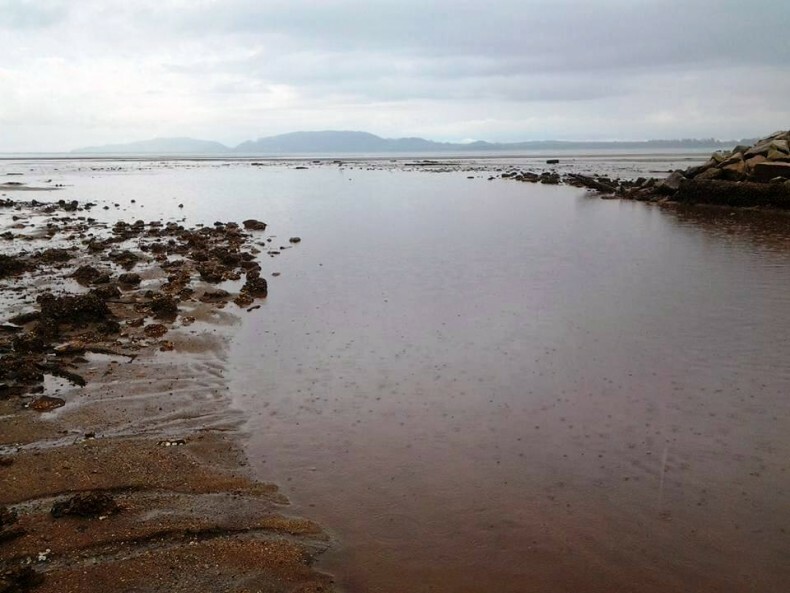 The damage, though extensive, comes with a silver lining – Malaysia’s government has declared a three-month moratorium, effective as of January 15, on all bauxite mining in Pahang state. It may be that future bauxite mining can be made safer while still lending a hand to Malaysia’s troubled economy, but the damage done is another matter. Harinder is concerned that the local marine ecosystem may have been irrevocably damaged in the short term with its recovery lasting for up to three years. Although many organisms might be able to adopt to the increased levels of pollution over time, the toxic chemicals would remain in their system, from where they could spread far and wide up and down the food chain. And that is how the reckless actions of a few miners might harm the long-term health prospects of not only local ecosystems but also local people who depend on those very ecosystems for their food and livelihoods. Thus, environmental pollution always exacts a collective toll on people.